It snuggles in homes in the winter months, spreading diseases. 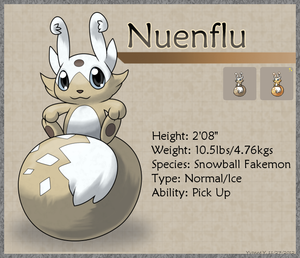 Nuenflu, the Snowball tuxemon, is a Water-type monster. It secretly spreads disease in the winter months.